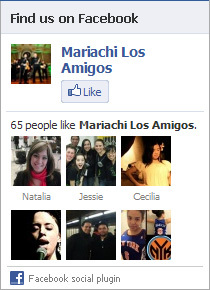 Mariachi Los Amigos was founded in 1979 and has continued to evolve over the years. Los Amigos truly are what their name depicts: a group of friends who share a passion for the lively, extraverted sound of mariachi music. Mariachi music originated among the ranching and farming people of west Mexico in the 19th century that began to gain recognition in the US during the early 20th century. Traditionally found at weddings, birthdays, saint's day celebrations and rural dances, this upbeat style of music was used to inspire celebration at special occasions in Mexico. The popularity of mariachi music has evolved due to the rise of recordings, radio, films and television in the twentieth century and the music has begun to reach audiences in Latin America, North America and beyond. Today, the dynamic sound of mariachi ensembles can be found in the majority of states and all regions. 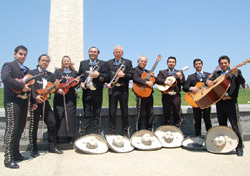 Los Amigos perform a wide repertoire of musical material, from the latest canción ranchera (country song), to romantic boleros, lively polkas and hard-driving jaliscienses. Mariachi music emerged from the ranches and small towns of western central Mexico. As Mexico’s population became more and more urban in the twentieth century, so did mariachi music. Mexican radio, recordings, cinema, and television featured mariachi music, and the music spread to all corners of Mexico and beyond. The electronic media and immigration from Mexico has made mariachi music an important form of musical expression in the United States. There are more than 20 major mariachi festivals around the U.S., and mariachi ensembles are found today in the majority of states. 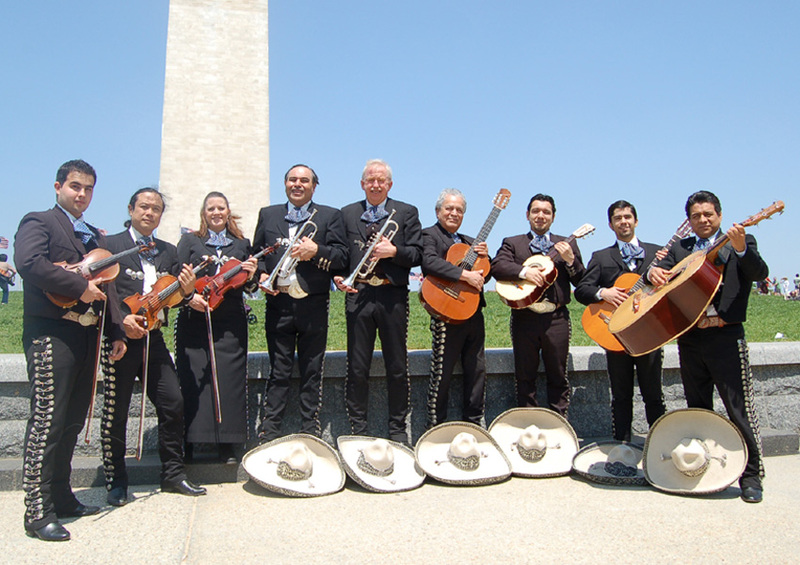 With the Washington, DC area as a base, Mariachi Los Amigos has played for a wide variety of events, from weddings, baptisms and quinceañeras, to shopping center promotions, to Presidential state dinners and inaugurations. Whatever the occasion, they play the music they love the most, the “straight-ahead” mariachi sound.